Well, we may just have the solution, and it’s not a limited time offer! Kyouhei Fukuda is the creator of Taskontable, a time management tool that can be used to help anyone from the absent-minded to the overwhelmed create order out of chaos. Are you looking to get your work done more efficiently so you can get done with work? And maybe even have more time to play? Then read on, because we recently spoke with Mr. Fukuda about his product, the idea behind it, and its implementation of Handsontable. – What motivated you to create Taskontable? I was looking for a task management application with the desire of accelerating my daily work. One day I stumbled upon TaskChute, a macro that transforms Excel into a task management tool. Released in 1998, with the aim of helping the user to accomplish daily tasks smoothly, it is still considered to be a useful program in Japan. However, it comes with old architecture that offers very little access to the user who wants to adopt it in different environments from Windows. Maintaining, unchanged, both the basic idea and the concept behind it, I thought it was possible to improve the user experience by using Handsontable and modern web technologies. – Who did you write this software for? Taskontable is mainly for people who need to speed up their daily work routine. Splitting your work into a series of tasks and setting a timebox for each of them, Taskontable is, firstly, a time management tool. However, I want to put emphasis on the fact that Taskontable is not merely a tool that reminds the user when his task should be completed, but also encourages the user to be conscious of what his task consists of, with the aim of translating this process into a reduced working time. Let’s say that there are some workers that have to complete some tasks. Do you think that all of them would have an answer for the following questions? What are the conditions that make your task done? Does your task really have a conclusion? For whom and for what purpose is your task? Very likely most of them will give you some ambiguous answers, and this happens because a task itself is rarely self-explanatory. Making clear the conditions that make it complete will help us stay focused, allowing us to complete it in the least time possible. – So how does Taskontable work? You just have to write your daily tasks, each task start-time, and end-time estimation. Taskontable will notify you when your time is finishing or has exceeded and eventually gives you a final report. I know there is nothing special about this, but by asking the user to estimate their task’s ending time, indirectly they will be induced to think about the questions mentioned above, making their tasks more concrete than before. Taskontable can be also used in a team, meaning that everyone can immediately know about the progress of other members’ tasks, if they are on time, late, or have finished their tasks. – Is this your first project? I have worked on many projects, and I’m still working on some of them. Recently I’ve been working on an employee management system, but in the past I worked on a step sequencer that uses Handsontable too! 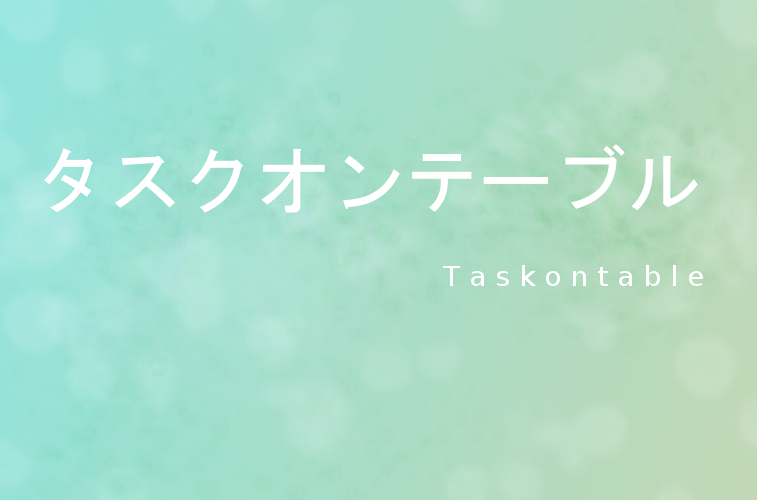 – What were your goals for Taskontable when you created it? To be honest, initially I did not really think about a goal. I was simply busy with my job and I was looking for something that could help me with my daily tasks. I did not find anything that satisfied my needs and that is why I decided to build a tool myself. It is now released as an OSS app, so you can use it for free! – What made you choose Handsontable for this task? As I said earlier, I was inspired by an Excel macro, so I was looking for a library that could imitate Excel behaviours. Handsontable is really developer friendly and its flexibility makes it clearly the best spreadsheet library on the web, so it was really easy for me to choose the right library for my project. – How did you discover Handsontable? – Are you going to add new features to Taskontable in the future? I am thinking about a mobile version of Taskontable. I’m also planning a plugin to allow Taskontable to communicate with different platforms. There you have it. Is it possible for all of this efficiency to be contained within one product? Does it provide a ray of hope for even the most diehard multitasker? There’s only one way to find out. Download yours today, even though supplies will last! Generic bio alert: I like doing things and learning more about stuff.